In Israel, SSF now has a large capacity for action with its 850 fully-equipped EMTs who can be deployed quickly throughout the area. Our organization can help and treat people where it’s needed. 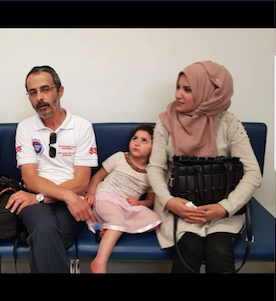 Despite a complex political situation, SSF was always able to rely on cooperation between Palestinians and Israelis when it comes to medical help and first aid. Three years ago, SSF launched a program to train and equip Palestinians EMTs, and they now work hand in hand in the field with Israelis. To better implement these activities that bring people together, SSF works on a daily basis with the head of the Palestinian crew, Dr Ali Shrouk. I’m sure you all remember Ali: he was the first on the scene when Rabbi Michael Marc was killed in a terrorist attack, back in 2016. Ali put his life on the line to help the Rabbi’s wife who was severely injured and their two children. Despite the threats he received after this heroic act, Dr Shrouk is still active with SSF, with one goal in mind: saving lives. 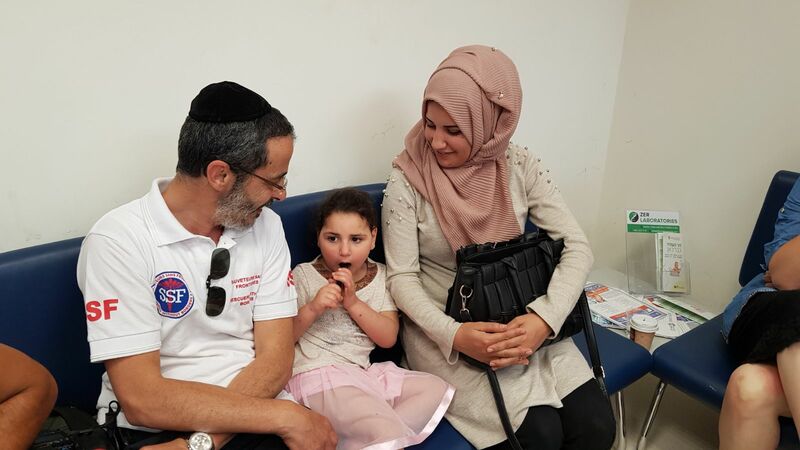 Recently, Dr Shrouk told SSF President, Arie Levy, about sick Palestinian children that can’t be treated in their home towns. The organization then turned to its donors for help, and the response was massive. 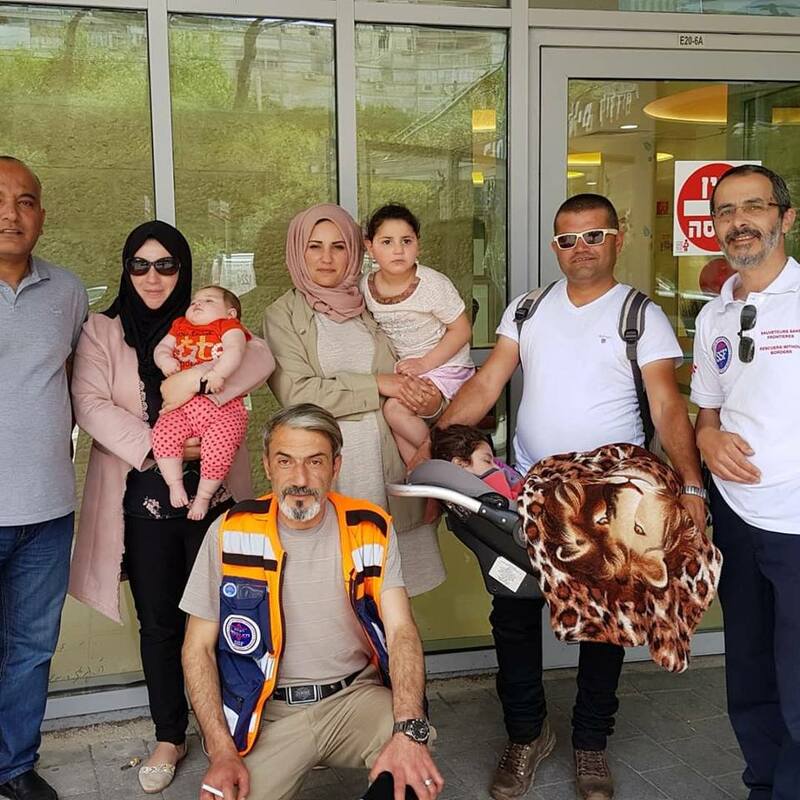 SSF has stepped up to the plate: they have arranged for ten Palestinian children to be treated in Israeli hospitals, including the logistics of their trips to the hospital. 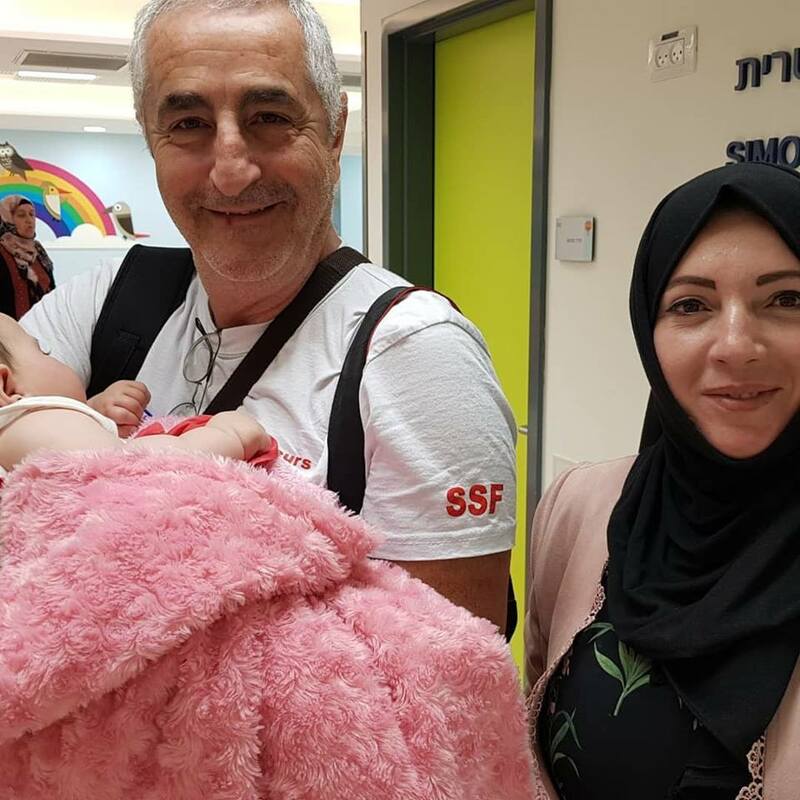 Two children (an eight-month-old baby and a two-and-a-half-year-old toddler) underwent surgery recently; three children with birth defects are currently undergoing extensive testing in Jerusalem’s Shaare Zedek Hospital; and three more children are receiving treatment.